What Is Sebum Oil Made Of? Hair is a very delicate thing. It sits prominently on our heads for the world to see. When your hair isn’t looking its best, it can throw off a whole look. One of the biggest struggles when it comes to your tresses is having hair that’s either too oily or too dry. The source of this problem comes from the production of oil in your body. Our bodies are naturally self-regulating machines that have all sorts of functions which allow us to carry on with our day in comfort. One such function is the production of sebum made by our body’s sebaceous glands. Sebum is the natural oil your body creates to coat your skin and hair and can be found almost everywhere on the body. The production of oil keeps your body moisturized and waterproof. The problem is that your body can sometimes over-produce sebum. 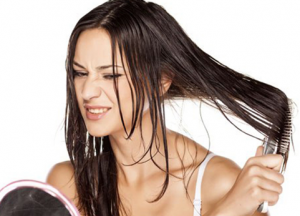 This excess leads to oily hair and skin which then causes acne and other unpleasant irritations. The flip side of the coin is suffering from dry skin, where you body isn’t producing enough sebum to adequately moisturize and protect the skin. So, how do your sebaceous glands achieve that harmonious balance? Let’s find out how the sebaceous glands work and how we can regulate the production when it goes haywire. Excess sebum causes oily hair. In order to understand how we get that unfortunate greasiness, let’s look at what that oiliness actually is. Sebum is an oily, waxy substance secreted from the sebaceous glands. It is Latin for fat, and is composed of oils, wax, metabolites and more. As specialized cells burst, the sebum produced inside is released. This release can go too far or not far enough and affect the overall moisture of your hair and body. Your androgen’s regulate this sebum production, so most of the time a hormone imbalance is to blame for any sebum-related issues. A healthy body calls for a healthy balance of sebum secretion. Sebum not only helps keep both hair and skin supple, but also contributes to the composition of earwax. Although it is odorless, too much sebum can cause bacterial breakdown, which in turn leads to the release of unpleasant odors and can cause oily hair (just as one would experience in hot weather or if not regularly washed). If you’re dealing with the opposite problem, aka skin that’s dry beyond belief, you’ll notice that you’re more susceptible to irritants and other external elements as your body is missing some of that moisturizing protective layer. Whichever way you look at it, sebum is a necessary component of healthy skin that, like anything in life, requires balance to function at its optimum. We now have a better idea of what sebum does, but what is it made out of? It’s essentially a mixture of oils and waxes, which is why most of the time we’re not familiar with the term sebum. But we all know what oily skin and hair is. Sebum is produced in the holocrine process and is constantly secreted from the sebaceous gland. It is made of a combination of different substances, including wax esters, squalene, triglycerides and free fatty acids. Triglycerides are a type of fat that is found in the blood necessary for regulating a healthy body. Meanwhile the wax esters are unique to the sebaceous glands and cannot be found anywhere else in the body. This complex mixture of lipids combines to create a substance that can keep water in your body (in hot temperatures) and keep it off your body (winter and rain). These regulatory functions show why sebum is so important to our everyday health. Now that we know what this oil is made up of we’re better armed to understand how to deal with its over or under production. 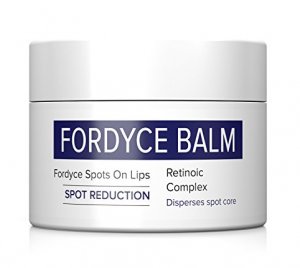 Anti-sebum cream helps with Fordyce spots. One side-effect to the over-production of sebum is the spread of Fordyce spots. These “spots”, also known as sebaceous hyperplasia, are essentially the outgrowth of excess sebum aka enlarged oil glands. They look like tiny bumps all over your skin where there are no hair follicles. The edge of the lip or inside the cheek are where Fordyce spots are mostly found. The condition is only a cosmetic one, but it can cause anxiety and embarrassment. That’s where anti-sebum cream comes in. This cream reduces the overproduction of your natural oils using natural-based ingredients that treat the condition from the root cause. It regulates your oil levels back to normal, which virtually eliminates the unwelcome bumps. One of the main ingredients used in anti-sebum cream is Serenoa. This herb blocks the effects of particular hormones and contains anti-inflammatory properties. Anti-sebum cream also contains Vitamin E which is a potent antioxidant known for its ability to support cell function and maintain general skin health. As if that wasn’t enough, the presence of sage in this cream makes it a no-brainer for your sebum sorrows. Sage is touted for its ability to balance the oil production in our skin. This makes it my favorite ingredient in any anti-sebum product. 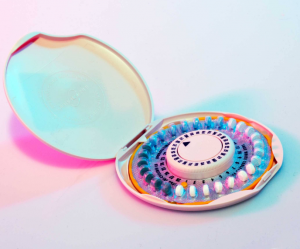 Birth control pills can help control sebum. There are many medications on the market that can help balance your oil production. Retinoids are topical creams that can reduce oiliness. They can be very helpful in treatment, but reputably cause redness and dryness of the skin. Another option is Accutane, a powerful acne medication. 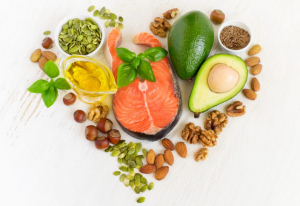 There are a handful of other non-prescription methods, such as hair loss medication or birth control pills, that affect the oil-producing hormone. While it’s true that these have positive effects on acne treatment and sebum production, from a holistic perspective ‘fixing’ parts of your body shouldn’t come at the cost of ‘malfunctioning’ other areas. While using all of these methods can potentially reduce the production of sebum, many of these options can have adverse side-effects that could leave you worse off. I wouldn’t use these as my go-to’s in attempting to regulate my oil production. There’s no need to target individual symptoms when the all-natural method can solve the problem from the source. So, before you try any of these means of sebum reduction, be certain to go to a doctor and get the thumbs-up. Or better yet, read on to find out about the holistic alternatives at your fingertips. 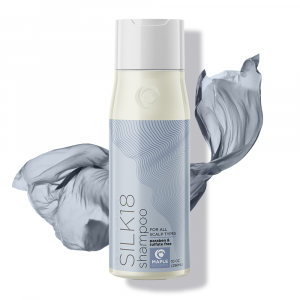 When searching for a shampoo that will reduce your oil production, the first thing to cut back on is any product that contains sulfates. Sulfates have a tendency to dry up the hair follicles and cause them to overproduce oil. If you want to take it to the next level, oily hair shampoo companies specially formulate their product to decrease sebum production. Well, really, their aim is to clarify your hair from buildup which in turn balances your oil production. 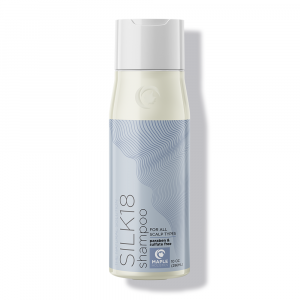 If you have oily hair, you want a shampoo that will do the cleaning job without adding excess moisture. 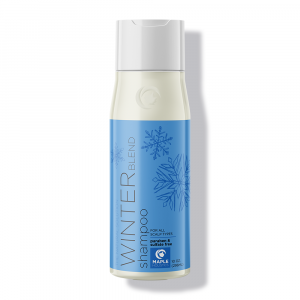 These kinds of shampoos usually have some form of cleanser without conditioners. This then means that your hair doesn’t get greasy as easily. 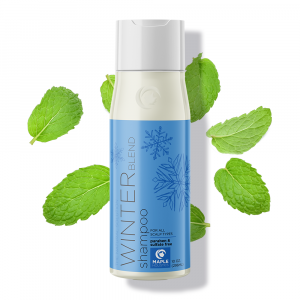 Nettle leaf extract and sage are ingredients to look for in oil control shampoos, as both are renowned for their ability to naturally balance your sebum production. Better yet are the shampoos that contain an essential oil or two. Essential oils that are known for their oil-regulating properties like tea tree and rosemary essential oils are the ones to look out for. It sounds ironic to put an oil on your hair to reduce oil but that just goes to show natures undeniable benefits – that even a paradoxical ingredient can work wonders. While being too oily doesn’t look or feel good, having a lack of oils is also not ideal. Having too much sebum is no fun, but you can also have the opposite issue. A sebum deficit means lacking sufficient oils to carry out their essential protective and lubricating functions. The moisture level of your skin is more readily lost when your sebaceous glands aren’t producing enough oil. It only makes sense then that the flip side of excess oil is dryness. Rather than being plump and full of life, cells that lack sufficient oils appear dull and sallow. The skin no longer has the fatty barrier to keep water in the body (in heat) or off the body (in winter). Insufficient sebum may stem from malabsorption, or deficiencies of fatty acids or fat-soluble vitamins. That protective barrier is essential for optimal bodily health, so be certain to provide the essential ingredients from your diet and moisturizers to prevent the issue. If you do suffer from under-active sebaceous glands, then avoiding harsh soaps and chemicals that could exacerbate the problem are your first call. Get the fatty acids you need for a healthy balance of sebum. 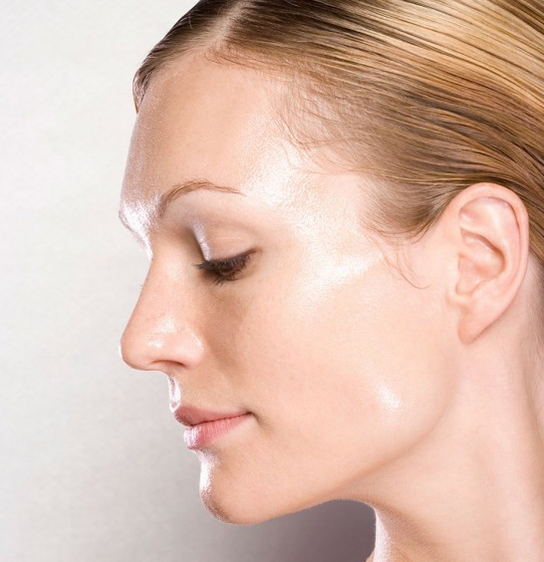 In order to combat that dryness, why not restore a vibrant glow to your skin by making some simple changes? Become aware of what you put on and in your body to maximize it’s controlled sebum health. With this in mind, the interior of your body also affects surface-level oil production. To take in enough omega-3 and omega-6, make sure to eat plenty of olive oil and cold-water fish. Drink up to hydrate your body with the fluids it needs to function at its optimum. In order to stimulate oil production, make sure to consume plenty of vitamin A and C. Both these vitamins are crucial for the production of collagen which keeps the skin and scalp healthy, counteracting a lack of oils. Sources rich in these vitamins include dark green leafy vegetables, such as spinach and broccoli. Your topical moisturizers may advertise their success, but you ought to be aware about the effect of specific ingredients in many products. Alcohol-based products, such as a cleanser or a toner, can strip your skin of its natural oils. Similarly, synthetic fragrances dry out and irritate skin. Rather than piling on the chemicals, consider natural alternatives, such as lavender or tea tree oil to nourish your skin from within. The over-production of oil from sebaceous glands can cause oily hair. Meanwhile, the under-production of oil can mean that hair becomes brittle and dry. It seems that getting the perfect balance is a precarious task. But this doesn’t have to be the case. Understanding your hair and how it works is a key step in achieving sebum harmony. If you don’t get it under control the hair condition can be embarrassing and leave your hair unmanageable. There are various methods you can use to balance the oils in your scalp and revive your hair back to health. Whichever method you choose, make sure to do your research. Not all oily hair is the same. Whether you’re in need of an anti-sebum oil cream or an all-natural oil control shampoo, make sure to nourish your hair from within. 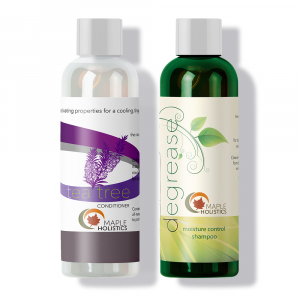 If you’re not sure where to start Maple Holistics offers a range of hair care products that can help with oily hair. 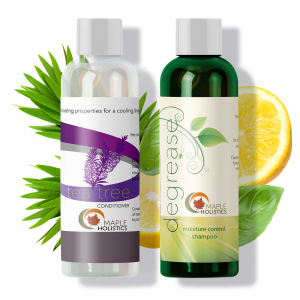 Check out our Hydrate or Degrease shampoo and conditioners to find the right option for you! And if you’re not ready to switch out your hair routine just yet, why not add some sebum-balancing foods to your diet! Whatever your scalp condition, take the necessary steps to make sure your sebum is under control for healthy hair.